Lyric Swann and Mike Dukes each had a singular goal: Make an impact. Swann was the center of Long Reach High’s emergence as a championship program. 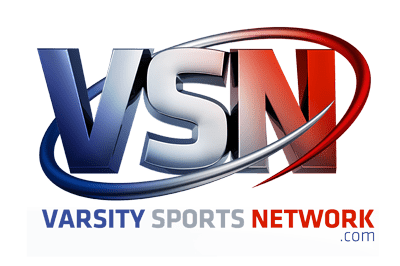 The senior guard is VSN’s Girls Basketball Player of the Year. Mike Dukes has transformed once-afterthought Pikesville into an up-and-coming force. The second-year leader is VSN’s Coach of the Year. Please enjoy our honorees’ stories below and the video interviews we did with them. Even before walking into Long Reach High as a student athlete, Lyric Swann had lofty expectations. Swann did just that, transforming the Howard County school from also-ran to state championship contender. The senior guard is Varsity Sports Network’s Girls Basketball Player of the Year. Swann, 5-foot-5, averaged 21 points, 5 rebounds, 4.5 steals and 3.7 assists for the Lightning (18-5 overall), who reached the state Class 3A final four for the second straight year this past winter as well as a share of the Howard County league title (with Howard). The Columbia school lost to eventual back-to-back-to-back state champ Frederick in the state semifinals. 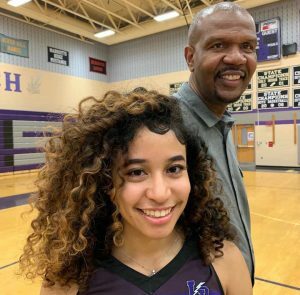 It was a bittersweet end to the greatest stretch in Long Reach girls basketball history (lost to Frederick in 3A state final in 2018) with Swann an integral part. Arguably the area’s best pure shooter, Swann became a leader this season with the graduation last spring of several veterans including Kiana Williams (Bethune Cookman). Former Lightning coach Kelli Cofield said Swann has the leadership intangibles. Despite intense scrutiny from opposing defenses, Swann was able to score from the perimeter with her quick and accurate release and or get to the basket. She shot 43-percent from the field (31-percent from 3-point range) this past season and improved her rebounding and assist numbers. A four-year starter, Swann finished as Long Reach’s all-time leading scorer with 1,571 points. 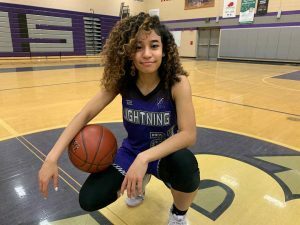 The Lightning went 75-20 with Swann, who played alongside twin sister Jaelyn. Their mother, Karyn, was a standout basketball player for Wilde Lake and UMBC. Swann, who holds a 4.5 grade-point average, will play for UMBC next season. In just two seasons, Mike Dukes has turned Pikesville High into a championship program. Dukes is Varsity Sports Network’s Girls Basketball Coach of the Year. This past season, the Panthers (25-4 overall) won the Class 1A state championship, the first for the Baltimore County school. The season before, Pikesville reached its first league final and state Final Four. 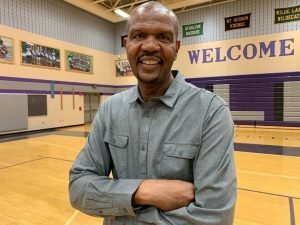 A former assistant at St. Frances Academy under Jerome Shelton and former coach at now-defunct Towson Catholic, Dukes said “academics and the environment” attracted him to Pikesville. Dukes thought 16 victories was realistic goal in his first season in 2017-18. The Panthers went 22-3 (team was 5-15 in 2016-17), with losses to Catonsville (Baltimore County final) and Southern of Garrett County (1A state semifinals). With a talented group of young players back and a year older, Dukes expected Pikesville to make a major advancement last winter. The Panthers went undefeated in Baltimore County, winning their first league championship. After overcoming a double-digit deficit against Forest Park to win the North Region title, Pikesville dominated perennial state power Largo from Prince George’s County in state semifinals and Washington County’s Smithsburg in the state final at Towson University’s SECU Arena. Pikesville, which finished 7th in the final VSN Top 20, trailed for just 71 seconds in the final two games. “It wasn’t anywhere else to go,” said Dukes. Dukes, a 1988 Towson State (now Towson) University graduate and former Tiger basketball player, was assisted by Gordon Outlaw and Kevin Speaks. Dukes is 48-7 in two seasons at Pikesville, and 61-18 overall.